How does it get into the house? Outside, molds are normal, natural and even necessary. This is one of Mother Nature’s ways of getting rid of dead leaves, branches and trees that have toppled over. But inside of a building, this breaking down process can be detrimental to property and humans. This material multiplies by dividing into tiny parts called spores. Spores are so small that they can only be seen with special microscopic lenses. These spores develop when the environment becomes damp or wet. Spores love moisture. How can this matter be harmful to humans? Many people are allergic to this substance. 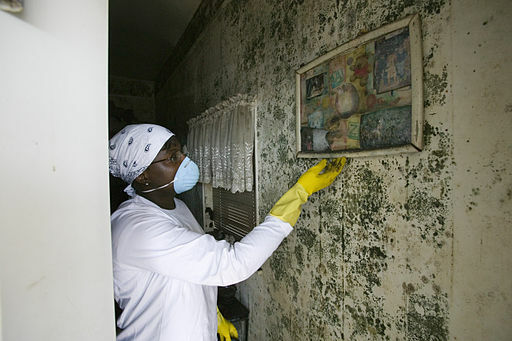 Moldy material can irritate skin, eyes and breathing pathways. Some individuals develop asthma or bronchitis issues because of it. It can even be toxic. Skin rashes, sneezing, stuffy nose and more can occur. How can this problem be cleaned up? Different situations require different types of mold removal cleanup. How large the infestation is will play a part in the way it’s addressed. Small areas can be taken care of by the homeowner but larger regions, such as those more than ten feet by ten feet, will require a professional’s intervention. Hiring a pro: Professional contractors should have experience in this type of cleanup. They should follow guidelines set up by the EPA, which stands for Environmental Protection Agency. Cleaning ductwork within a home: If a house’s system has ductwork that has become moldy, a professional ductwork cleaning contractor will need to be brought in. Ducts should be cleaned on a regular basis to prevent this occurrence from happening. It can be a serious problem if ducts become moldy because the spores will be pushed through vents into all regions of the house. Fix all leaks: If the issue occurred because of leaky pipes or a roof that needs replacement, they must be repaired right away. There’s no use cleaning up the mold if leaking continues. Hard surface cleanup: Hard surfaces should be well scoured with water, soap or a bleach solution. Soft items: Softer products such as carpeting, clothing, pillows, furniture , and even porous building components may need to be discarded. Otherwise the spores may continue to multiply and spread throughout the house. Paint: Painting should only be done on a surface that is mold-free. Covering the problem with paint won’t work as the moldiness will continue to eat through the paint. 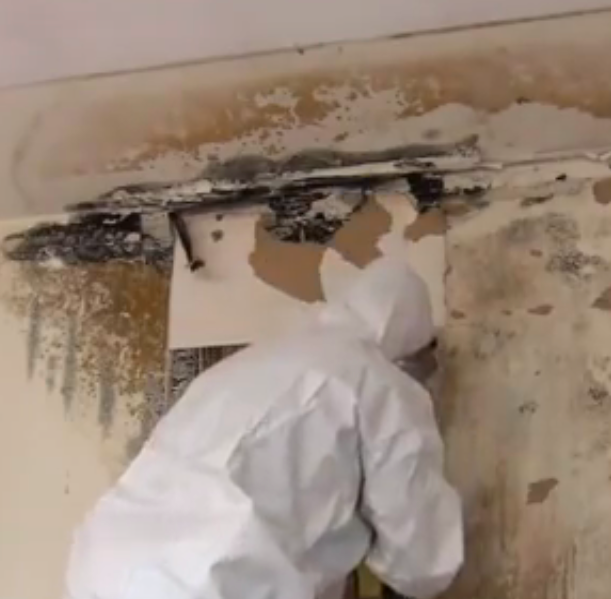 Mold removal can be done by a homeowner if the infestation is confined to a small area. Professional contractors should be brought in for larger areas. Those hired should have experience and follow EPA guidelines. All leaks must be fixed so the problem doesn’t occur again.